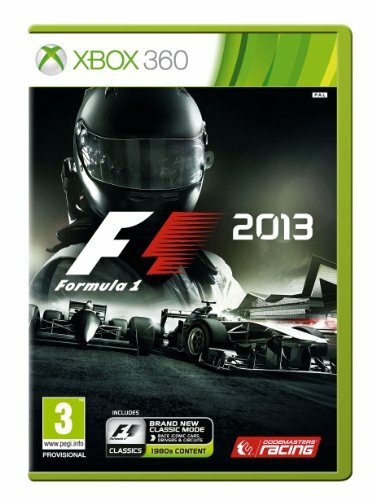 F1 2013 is the latest game in the award-winning FORMULA 1 franchise from Codemasters which has sold over 6.5 million units. The culmination of five years of experience in developing cutting edge FORMULA 1 titles, F1 2013 delivers a range of new features, improvements, modes and, for the first time in the series, classic content. F1 2013 features all the cars, circuits and stars from the 2013 season, allowing gamers to race as Lewis Hamilton in his Mercedes and Sergio Perez in the McLaren-Mercedes for the first time, and includes all of the new drivers, updated rules, tyre changes and remodelled handling to authentically reflect the challenge and exhilaration of racing 2013's stunning roster of FORMULA ONE cars. A range of enhancements, improvements, split-screen and online multiplayer plus new and returning game modes deliver the most complete simulation of a FORMULA ONE season in videogame history. 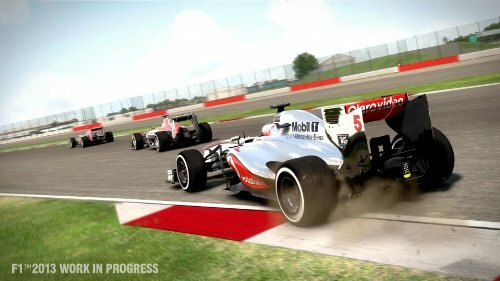 F1 2013 gives FORMULA 1 fans the chance experience a range of classic content in a brand new game mode introduced by legendary broadcaster Murray Walker. F1 Classics allows players to race legendary drivers in iconic cars and features two period circuits. This classic content can also be enjoyed in a range of further game modes including split-screen and online multiplayer modes. NEW Classic Content F1 2013 breaks new ground to include official classic FORMULA ONE content for the first time in the series in an expansive brand new game mode introduced by legendary broadcaster Murray Walker. F1 Classics allows players to race against a mixture of original drivers and renowned team legends in iconic cars from the 1980s and features two historical circuits. Classic content can be enjoyed across a range of game modes including a custom championship, time trial and in split-screen and online multiplayer modes. Players will race on grids featuring FORMULA ONE cars and drivers from different eras, experiencing the differing handling characteristics and feeling the evolution of technology over the years, providing an eye-opening contrast to the cars simulated from the 2013 season. 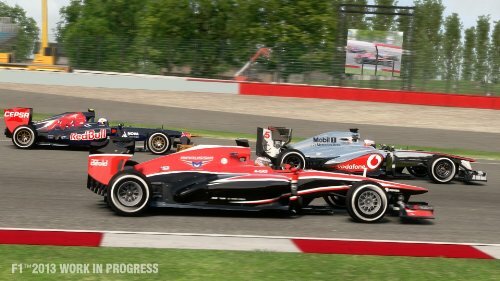 - All The Official Content Reflecting what is shaping up to be one most exciting seasons yet, F1 2013 will feature all the cars, circuits and stars from the 2013 FIA FORMULA ONE WORLD CHAMPIONSHIP. Expanded Young Driver Test Based on the real world event, the Young Driver Test based at Abu Dhabi's Yas Marina, where young drivers set out to earn a drive in FORMULA ONE, is expanded and tuned to ease novice players into the world of FORMULA ONE. Day One will use tutorials and explanatory videos to get new players quickly racing competitively. Day Two sets a series of increasingly demanding challenges, inviting repeat plays as gamers set to improve their score and master elite driving techniques, and unlock further race seats for their career. - Mid-Session Saves Mid-session saves allows players to experience a complete long race weekend at their own pace rather than commit the 180 minutes plus session time required to complete a race weekend in one go. Glorious FORMULA ONE Codemasters Birmingham is building on their own expertise, the continued evolution of the award-winning EGO Game Technology Platform and cross-studio advancements from the DiRT and GRID teams to produce a game that makes yet another dramatic leap forward in graphical and technical quality. 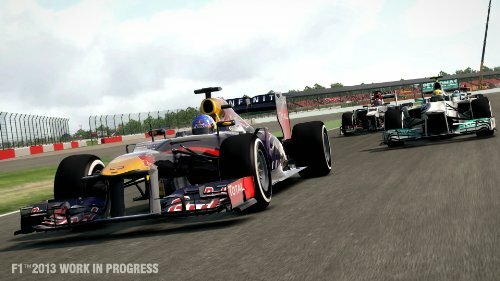 F1 2013 will immerse players in the world's most visually striking sport and set the benchmark for how good a racing game can look. Another step forward for realistic driver AI behaviours will further immerse players in the unique races only FORMULA ONE can provide. - Grand Prix Mode Returns F1 2013 reinstates Grand Prix Mode so players can once again step into the shoes of their favourite driver and race in a single race or complete a full or custom FORMULA ONE season in the pursuit of racing glory. - Full RaceNet Integration Codemasters' free Community Hub RaceNet will extend players' FORMULA 1 experience in the game and beyond the box. F1 2012 launched with RaceNet in beta mode and has already seen over 36 million races completed by registered members. In F1 2013, RaceNet which launched in full with GRID 2, will offer connected players regular in-game challenges, community-wide challenges, visual stats and game progress updates to compare with their friends keeping players coming back for more. Access for players is free via desktop, mobile or via dedicated apps allowing players to stay connected to their F1 2013 experience, and their progress in other Codemasters racing games, wherever they are.